3-Piece arrow kit, makes straight and curve arrow. Made of sturdy 1/8" thick poly acrylic and can be used over and over for years to come. 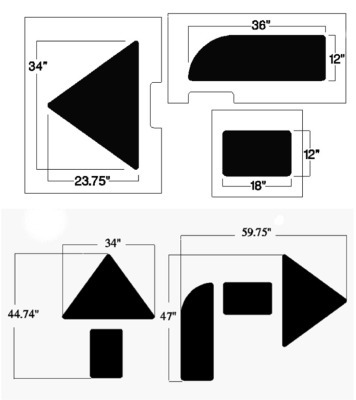 3 stencil pieces to make painting assorted arrows on roads and parking lots fast and easy. Stencils to mark parking lots and roads for safety and better directional guidance.